On the 9th October, I returned to the same course that I won on back in June for the Waterman's Sprint race. 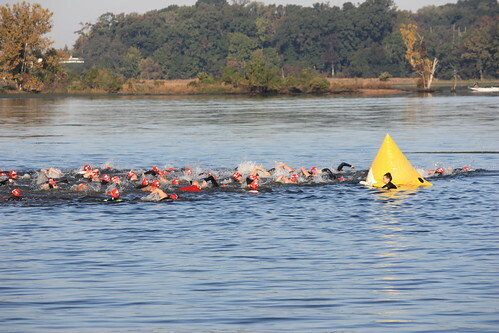 The final triathlon of the year, just a few weeks after IM Wisconsin and not much training to boot. 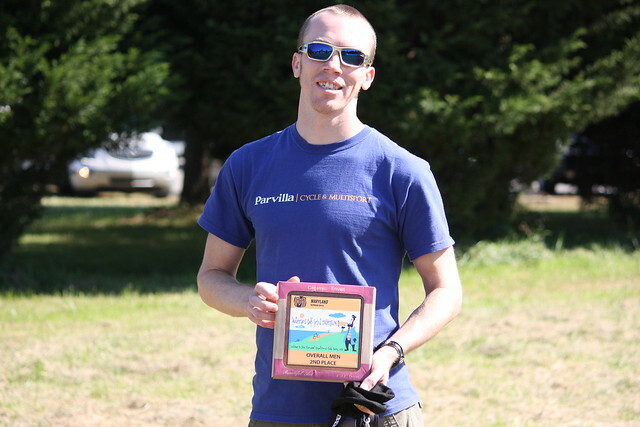 It was a fun race, great weather and there were a few friends of Parvilla Cycle and Multisport, some doing their first triathlon. I was debating about whether or not to wear the wetsuit, as it was only a 750m swim. I was glad I did as the water temp was in the mid-60's. Coming out covered in sea grass I was in 12th....onto the Guru machine and get to work out of T1. The bike was 16miles and it's a great course down south in Smallwood State Park. Low traffic, rolling hills and light winds. Knowing the course from the June race was good and I managed to put the fastest bike time of the race, which put me into 2nd place coming back into T2. I could see first place ahead but hoped that I hadn't spent too much energy on the bike.....having not ridden much more than a handful of hours since IM it felt hard. Off-road trails are fun in triathlons and you don't get them often, but at Waterman's you do get a few hundred meters of trail. I hadn't made up any ground on 1st place coming back into the finishing arena and I still had a few seconds on 3rd place. So 2nd place overall it was in a time of 1hr 15mins.....oddly enough 3minutes quicker than June, when I was probably in better shape. 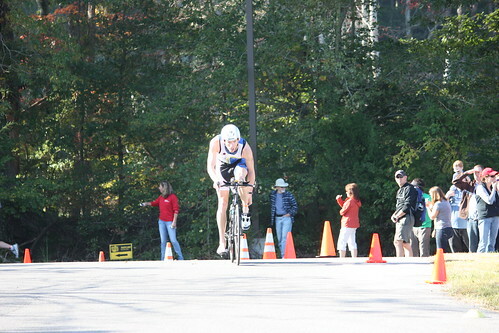 So now I am back at it for base training 2011/2012.....only 7 months till Ironman St George and a few fun races left for 2011.